Although this is our first review of an Amare Musica product, some visitors to the 2012 Warsaw audio show might remember this company. 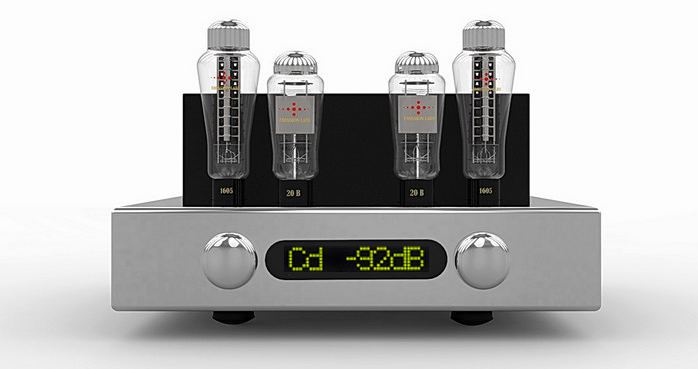 It's when this young Polish company made its debut with the De Forest high-end tube preamplifier and Trinity monoblocks. Another interesting part of that demo had been from Poland too - very good speakers called Clockwork. Some might have wondered where they'd seen those guys before. Even though their official debut as Amare Musica was there, they'd in fact participated a year prior at the same event but in the DIY Audiostereo room. The gents from Amare and Clockwork were and still are active members of the Audiostereo community, especially of its DIY forum. They create audio devices just for fun or to learn how a particular project might sound. They gained knowledge and experience and came up with ideas for products that could be interesting for other audiophiles. Like many now well-known designers they eventually decided to start a business, share their ideas with others and possibly make some money from it all. The Amare/Clockwork system at the Sobieski Hotel did not perform as expected during the first day but anyone who decided to give it another try on Sunday heard truly outstanding sound. I asked what had changed. They said not a thing. The great mystery of "always better sound on Sundays" remains unsolved. Whilst the sound was impressive, the design, fit and finish too proved that it was possible to make world-class hifi in Poland. 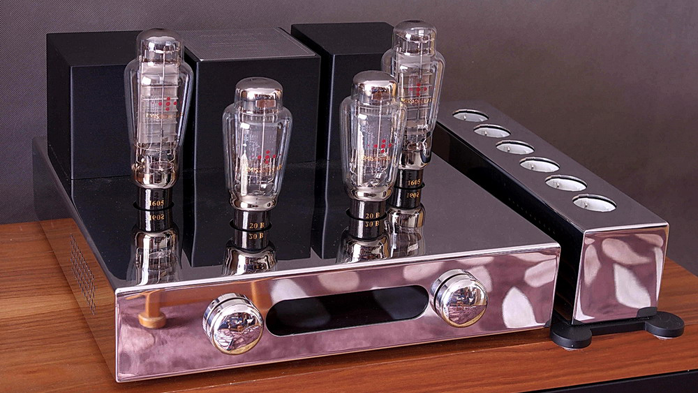 The amps reminded me of Tom Willis' Art Audio because of their spit-polished chrome-look chassis. Such refined exteriors were surprising. 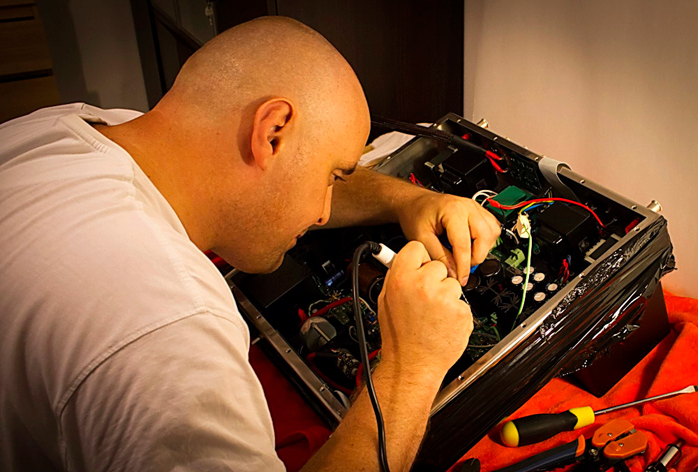 Usually DIY guys don't get too attached to cosmetics since their work is in constant flux and often repurposes enclosures for newer projects. In short I've heard plenty of good DIY stuff that looked like crap. In this case the Amare Musica founders Maciej Lenar and Marcin Sołowiow decided that if they wanted to combine creative fun designing things with selling them to audiophiles, aesthetics would matter greatly. Many showgoers I queried about this agreed that Amare had clearly arrived. As a valve aficionado I could not resist asking for review loaners of the De Forest and Trinity. That review published in Hifi Choice's 'Polish Edition'. My time with them assured me. Their sound eclipsed even their sterling cosmetics for an extraordinarily musical experience (I'm told the preamp has been further refined since). 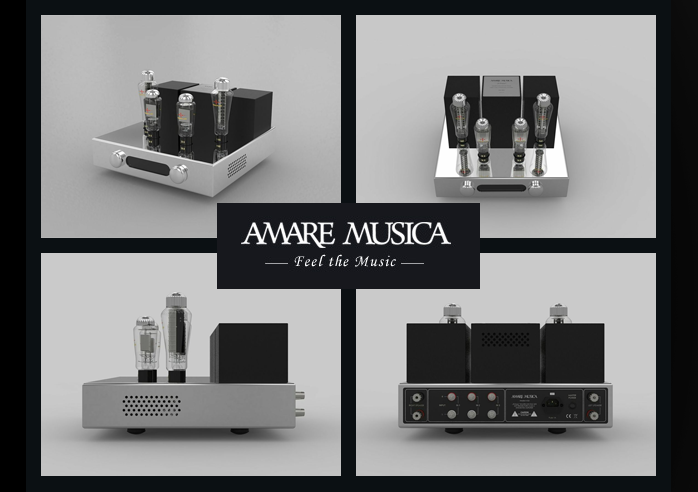 Reminiscent of the Kondo Souga amp I wrote up a few months ago, Amare Musica made the interesting choice to adopt silver for their transformer windings and as part of the internal hookup wiring. I'm obviously not suggesting that the Polish and Japanese amps perform on the same level—the Souga is an absolute reference at the stratospheric end of the range—but certain sonic similarities might well reflect the shared use of silver-wired output transformers. Since my first Amare review I spoke with both designers on many occasions to learn about their ideas for upcoming product. One that's already made it into their portfolio is the Silver Passive Power Station [above]. As the name suggests it also runs on silver wiring whilst its external design perfectly matches that of the electronics. A few months ago I had opportunity to listen to a promising Amare DAC prototype and can't wait to lay my hands on a production version. When it came to choosing a product for our Polish September issue of High Fidelity, I was informed that the integrated Entropy amplifier was ready. 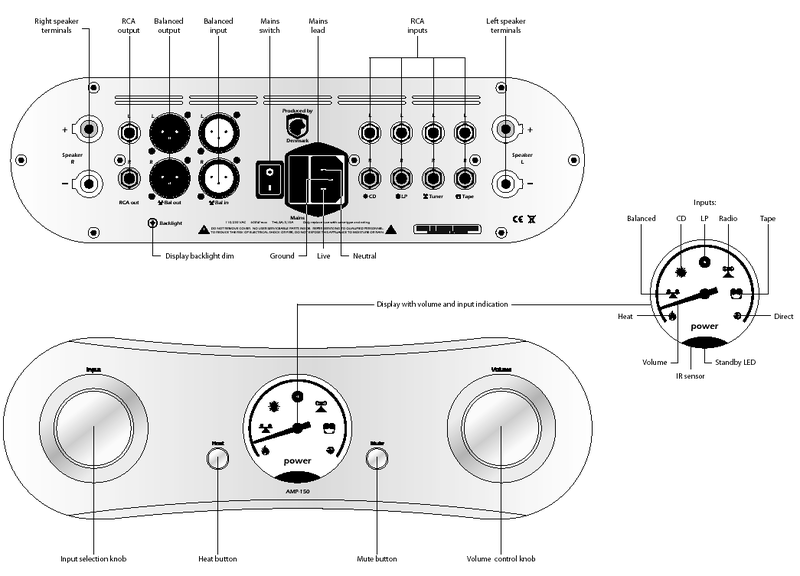 This is another valve component although Amare also plans on adding a transistor amp to their roster in the near future. The Entropy specs were no surprise: a class A SET with again EML bottles. The look too was trademark Amare Musica with its gloss-polished stainless steel chassis (almost any custom color is available too), large very legible LED display, high-grade finish and concomitant WAF. Recordings used during this review: Lee Ritenour, Rhythm sessions, Concord Records CRE 33709-02, CD/FLAC; Metallica, Metallica, Warner Bros. 511831-1, 4 x LP; AC/DC, Live, EPIC E2 90553, LP; Kate Bush, The sensual world, Audio Fidelity AFZLP 082, 180g LP; Joseph Haydn, Les sept dernieres paroles de notre Rédempteur sur la Croix, Le Concert des Nations, Jordi Savall, Astree B00004R7PQ, CD/FLAC; Gene Ammons, Boss Tenor, JVC JVCXR-0033, XRCD/FLAC; Krzysztof Herdzin Trio, Almost after, Jazz Forum Records 020, CD/FLAC; Harry Gregson-Williams, Kingdom of Heaven OST, Sony B00080EUN0, CD/FLAC; Dead Can Dance, Spiritchaser, 4AD/Mobile Fidelity MOFI 2-002, 180g LP; Ella Fitzgerald & Louis Armstrong, Ella and Louis, Verve/Lasting Impression Music LIM UHD 045, CD/FLAC; Keith Jarrett, The Köln Concert, ECM/Universal Music Japan UCCE-9011, CD/FLA; Rodrigo y Gabriela, 11:11, EMI Music Poland 5651702, CD/FLA; The Oscar Peterson Trio, Night train, VERVE/ORG ORG 029, 180g LP; Pink Floyd, Wish you were here, EMI Records Japan TOCP-53808, CD/FLAC; Led Zeppelin, Led Zeppelin, Atlantic/Warner Music WPCR-11611, CD/FLAC.